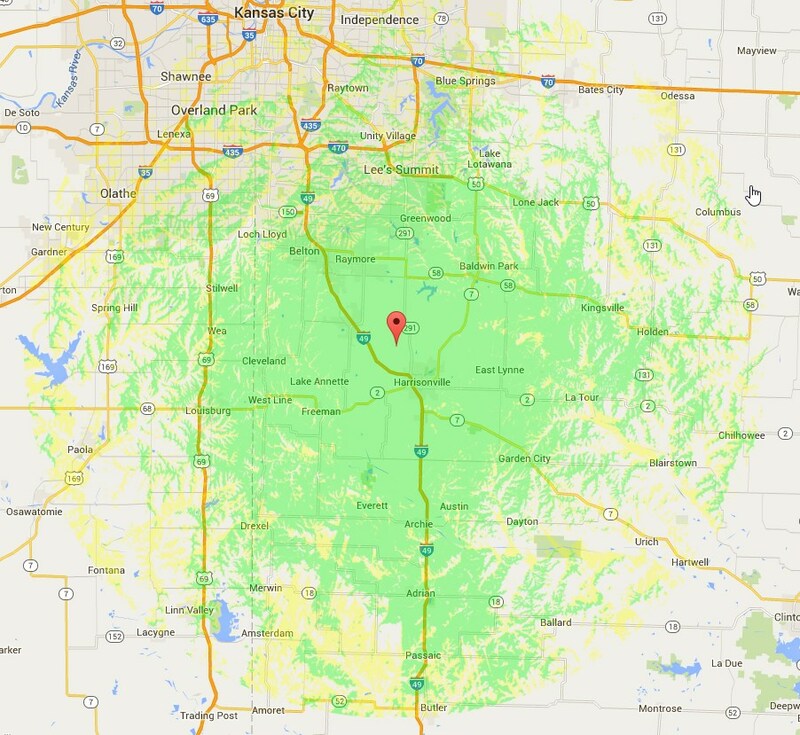 Located approximately 3 miles north west of Harrisonville MO. Node sits in various rooms. Feel free however to move it around. A list of Wires-X nodes and rooms as well as a how to is available at the Yaesu Wires-X Website. Consult your users manual for radio specific Wires-X instructions. 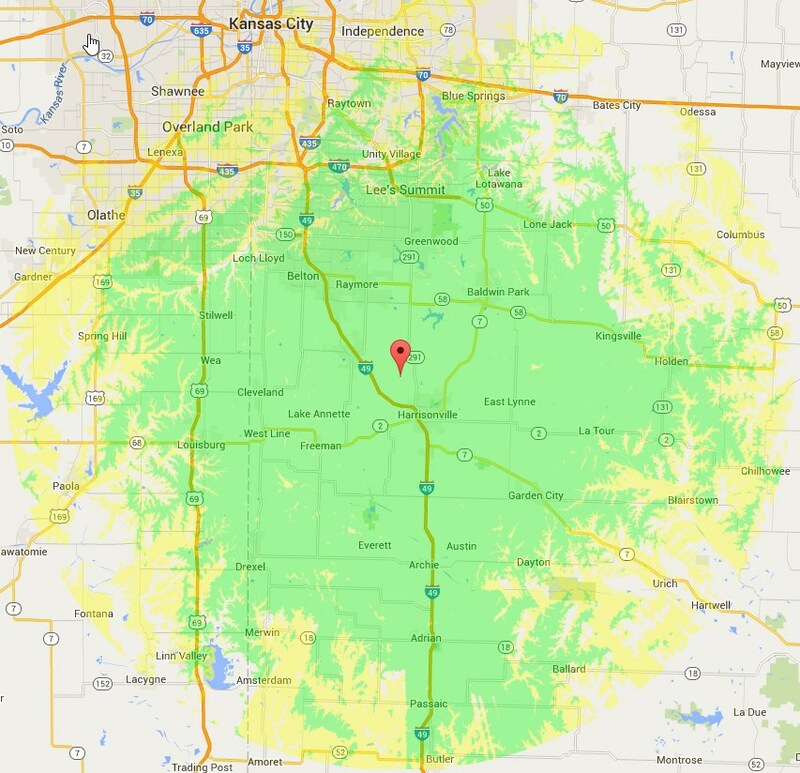 Coverage to fixed stations, assumes 12m high antenna. Dec 2017 Took advantage of the trade up program and stepped up to the DR2X. Using in conjunction with ver 1.3 of Wires-X SW. So far very stable. 16.Mar.2016 Upgraded to 1.10J put repeater in HRI-200 mode, Wires-X node radio no longer in use. 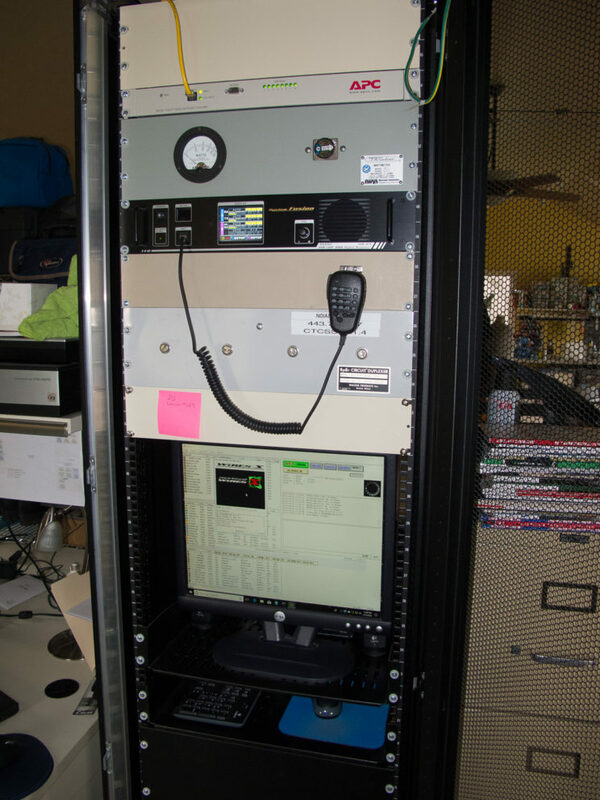 17.Feb.2016 Repeater is back from Yaesu with updated firmware and is back on the air in HRI-200 mode and is operating as a Wires-X node. 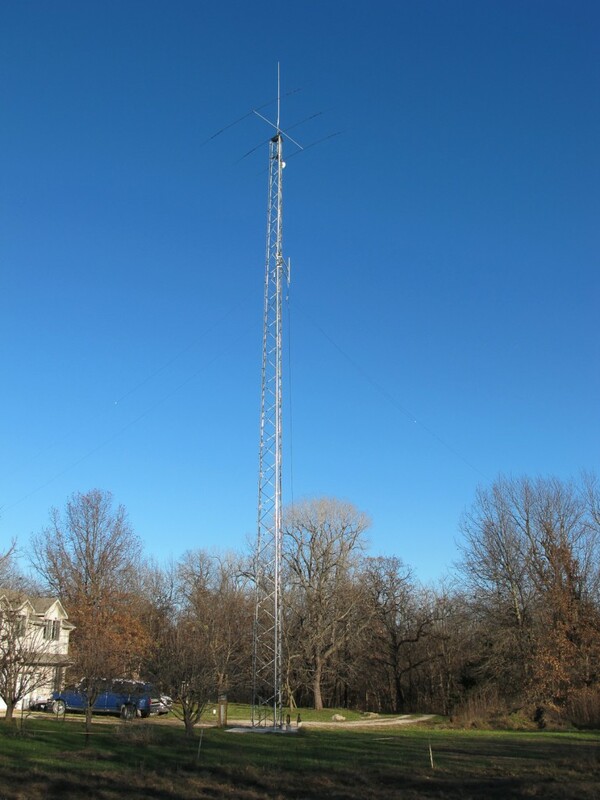 20.Jan.2016 Added a FTM-100 Wires-X node radio pointing at the repeater pair, upgraded the Wires-X software too 1.10. Wires-X node is back on the air. 16.Oct.2015 Changed to Fix(FM)/Fix(FM), was passing digital into the Wires-X network. May need to leave it in this mode while waiting for the Wires-X and DR-1X firmware upgrade. 18.Oct.2015 Switched the input back to Auto, figured out the issue which was causing Auto-RX not to function as expected. 20.Oct.2015 Switched to fixed digital input and output. 27.Oct.2015 Per second hand Yaesu support comments in the Facebook Fusion room. RFI is suspected as the root cause of the lockups which are occurring. I have installed common mode RF chokes on the TX and RX patch cables. And have switched the machine back to Auto/Fixed(FM). Have also increased power to 40 watts. 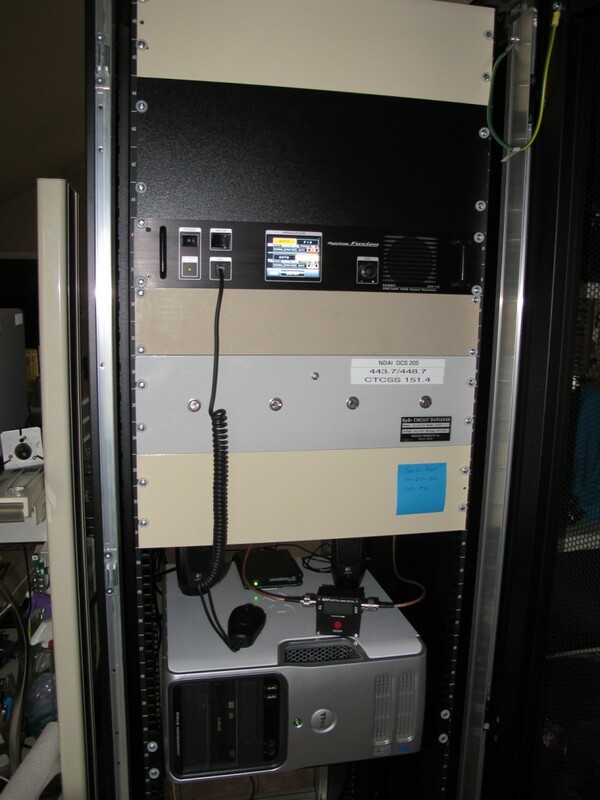 14.Nov.2015 Moved the repeater into a rack found on Craigslist. Has cut down on the fan noise getting it enclosed. 25.Nov.2015 Feedline order arrived and has been installed. Repeater is using the monoband vertical at the top of the tower. 4.Dec.2015 Repeater is back in Auto/Auto WiresX is offline awaiting a software release from Yaesu. Spring 2018 with the DR2X and the fanless Quantum Byte media PC for the node. 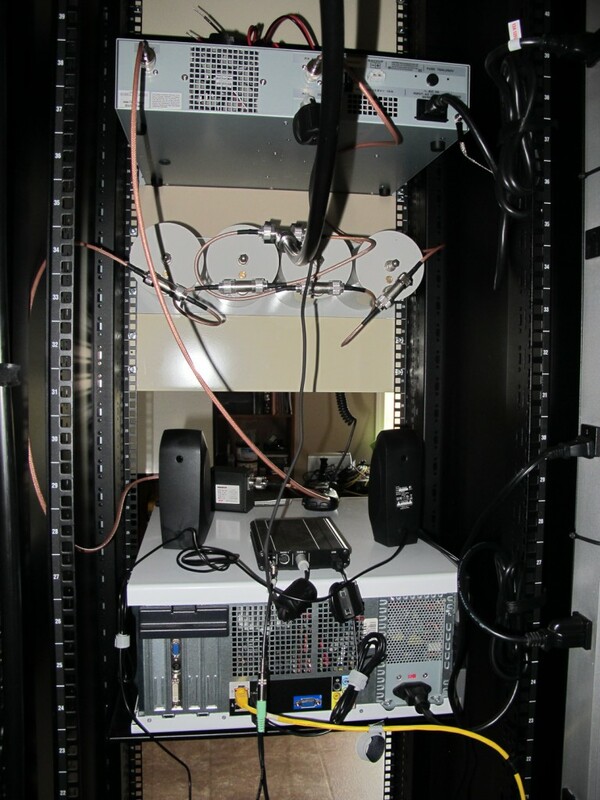 The old DR1X setup, using an old Dell for the node. Diamond F718a is on top of the tower.